Cheryl Hosler is also the dance instructor at Clemson University where she founded the Clemson University Dance Company. The University Dance Company is chosen by audition each school year and includes some of the finest technical dancers at Clemson University. They incorporate many styles of dance into their performances each year, constantly training in jazz, ballet, tap, lyrical, and hiphop. One of the greatest joys of the company is the chance to perform alongside the students of Cheryl's Dance Studio in their recital, held at the beautiful Brooks Theatre on the Clemson campus. Performance is a huge emphasis for company members. Not only does the comapny find time to perform together in the community, but company members involve themselves with dance organizations campuswide. 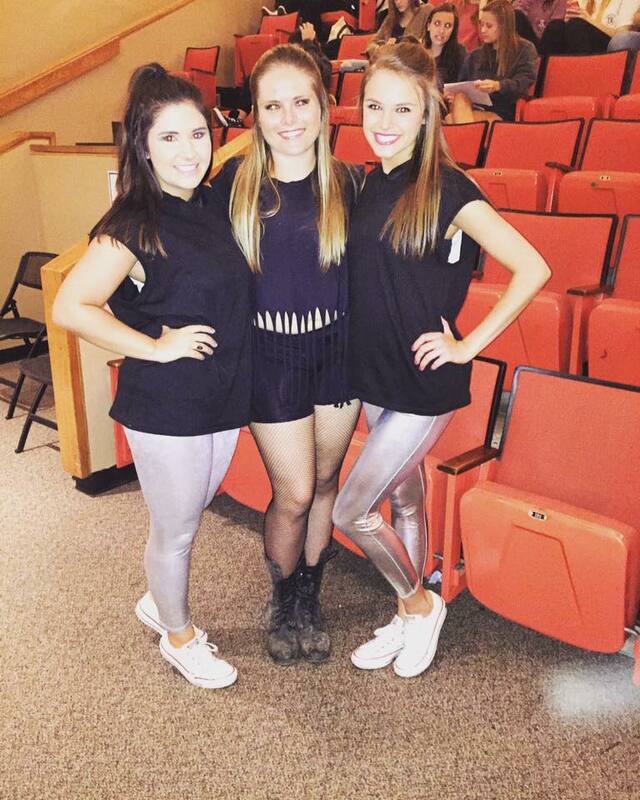 Whether it be Clemson Dancers classes, Tiger Strut competition team, or sorority dance competitions, company memebers are alwyas looking for performance oppertunity. If you are interested in auditioning for the University Dance Company, or want more information on our performance schedule, please see our contacts below!